← Nat Gertler to the Rescue! Before talk­ing about the illus­tra­tion at right, I need to set the stage and explain what I’m doing here. Please bear with me. It will come as no sur­prise (if you know me, or have looked around my site) that I’m a long-time fan of comics. It’s a top­ic I can go on at length about (and have, at times!). 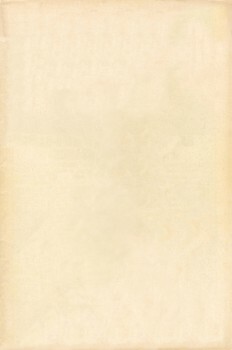 Now there are a lot of things I real­ly have no use for in mod­ern comics. But it’s way too easy to talk about those. It strikes me it’d be a waste of time and space for me to go rant­i­ng on my blog about what I don’t like in comics. Instead, I thought it might be more worth­while to take a pos­i­tive tack and point out comics (or oth­er books and things) I’ve come across that I like, and have found inspir­ing. So from time to time, I’ll do posts about inspi­ra­tional stuff I’ve come across. It may be new, or some­thing old. But these are the kinds of things that remind me why I fell in love with comics (and car­toons and sto­ry­telling) in the first place. Maybe you’ll like them too. For my first install­ment along those lines, here’s a bit of “fan art” I gen­er­at­ed of Zita the Space­girl. Cre­at­ed by artist/author Ben Hatke, I picked this book up a few weeks back. I’d pre-ordered it on a whim, based pure­ly on the cov­er art and the sto­ry descrip­tion. I was not dis­ap­point­ed. In full col­or and clock­ing in at over 180+ pages, it def­i­nite­ly qual­i­fies as a graph­ic nov­el. Hatke’s art is loaded with charm, and he’s craft­ed a sol­id all-ages book. Zita faces some chal­lenges and some hard choic­es that kids will under­stand, but per­haps adult read­ers will find addi­tion­al res­o­nance with (much like Pixar movies). I thor­ough­ly enjoyed the book. It’s the kind of thing that gives you hope for the future of comics. 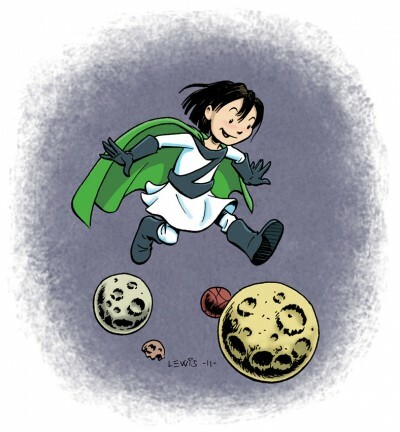 Zita the Space­girl is ™ and © Ben Hatke. UPDATE: You might notice in the Com­ments that Ben some­how dis­cov­ered my post here, and asked if he could re-post my Zita draw­ing over on his own blog. Which he did, along with a cou­ple oth­er cool Zita draw­ings. Thanks, Ben! This entry was posted in Comics, Personal and tagged Fan Art, Inspirational Stuff, Zita the Spacegirl. Bookmark the permalink. I am going to have to show this to my daugh­ter and see what she thinks! I like it. Thanks for the com­ment! Just to be com­plete­ly clear; Zita’s not my cre­ation. This is just some “fan art” I did. If your daugh­ter likes my Zita draw­ing, I think she’d enjoy read­ing the actu­al book, by author/artist Ben Hatke. Hey Mark, would you mind if I repost­ed your fan art on my blog? I would be hon­ored! Obvi­ous­ly I liked your book quite a bit. I hope you have plans for more Zita in the future.